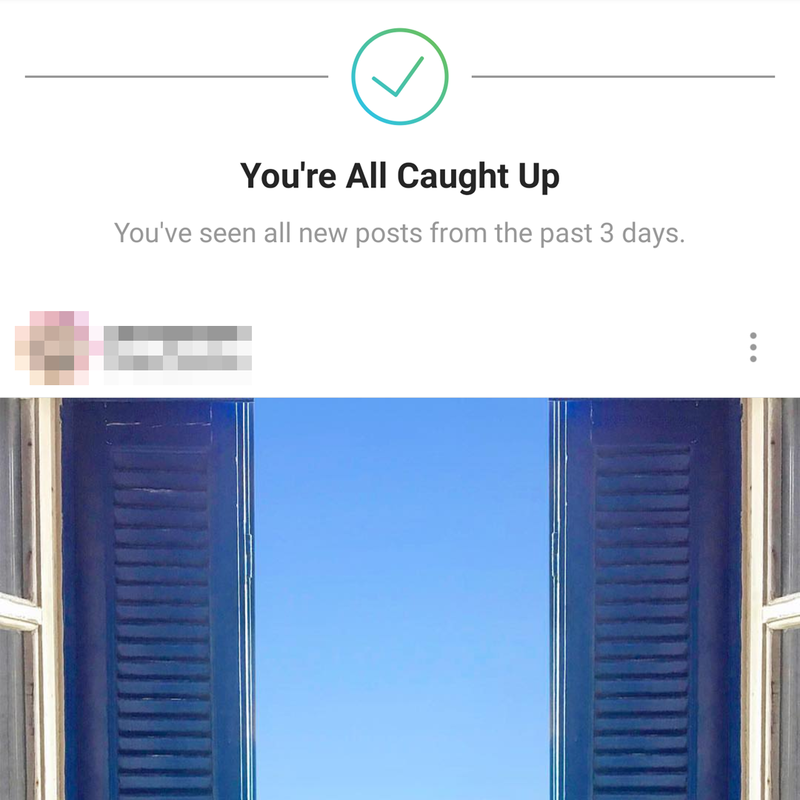 On days like this, I start wondering whether Instagram is actively trying to sabotage itself. Or, more accurately, if Facebook is actively trying to sabotage Instagram. 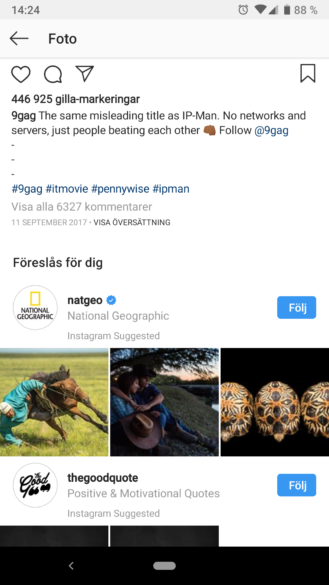 The photo and video sharing service has been "experimenting" with varied feed content for a long time, sprinkling in sponsored posts and stories and IGTV videos, but the latest server-side test takes the proverbial cake (and smashes it on the face of a puppy — yes, that's how infuriating this is). 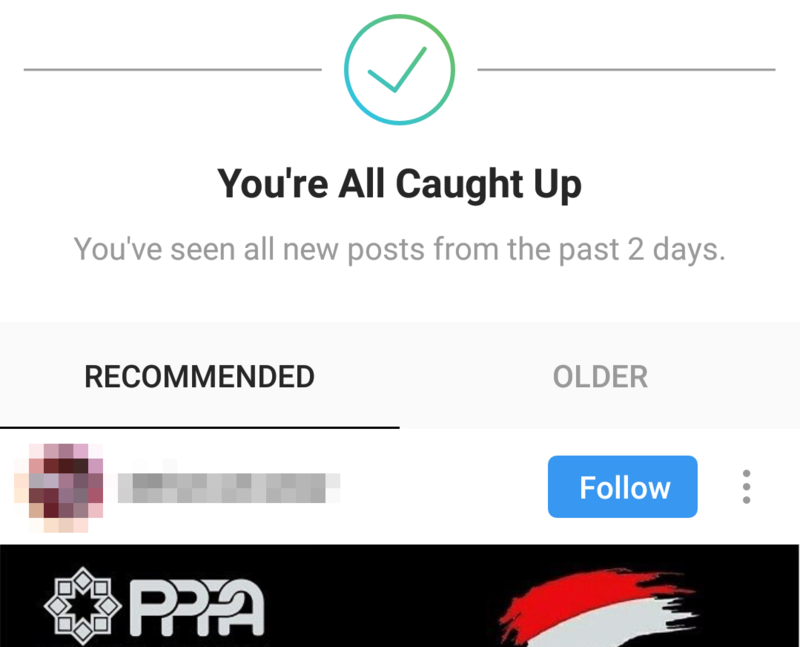 When you scroll back enough to see the "You're all caught up" message, you might get two tabs if you're part of the test. 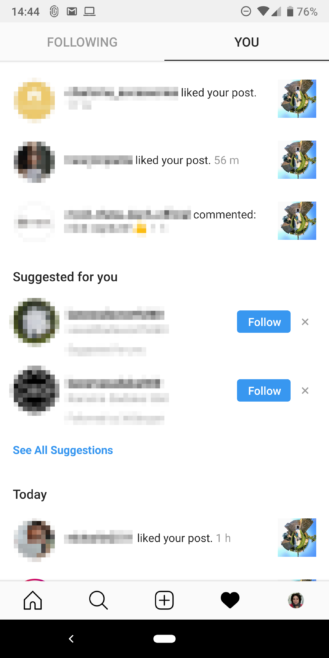 The first one is for recommended content from users Instagram thinks you should follow (read: more pestering). The second one is for older posts, i.e. your actual feed. 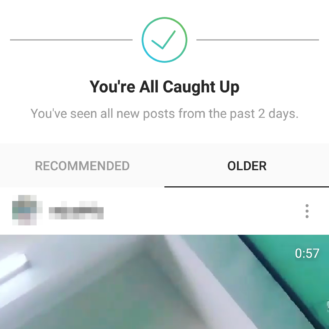 So not only is the chronological order gone from the feed, older posts are now hidden behind a second tab while recommendations are prioritized over them. Left: New two-tab interface. Right: Current scrolling feed. This marks the fifth, sixth, oh-I-lost-count, way that Instagram is using to recommend push accounts to you. Beside the Explore tab and the actual section to discover people, you can also find these suggestions in the middle of your feed and your reactions/notifications tab... of all places. And now, they'll also take precedence over your older posts. Recommended accounts to follow in the feed (left), reactions tab (middle), and discovery (right). 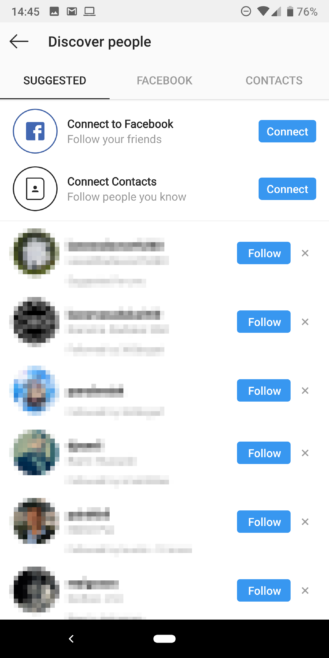 Perhaps someone needs to explain to Instagram/Facebook that it shouldn't fix what isn't broken. 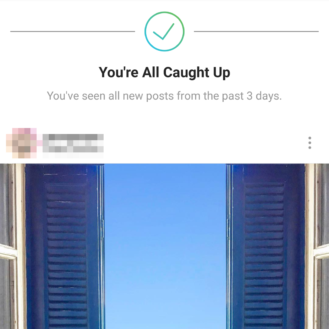 It's already infuriating that the app switches to the top of the feed everytime it's opened and marks everything below as seen even if you don't scroll down. Hiding away older content doesn't help in making that experience better, neither does pestering us to follow more accounts. Luckily, this is a sever-side test for limited users, and hopefully it'll be one that doesn't get spread further.